Lithium nitride is a red or purple color solid powder which has high melting point. Lithium nitride has a molecular formula Li3N and crystal structure. It rigorously reacts with water to release ammonia which is toxic in nature. 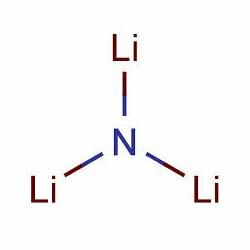 Lithium nitride is also known as trilithium nitride. Furthermore, our product range is known for its solubility in water. Lithium citrate is a drug which is used for the treatment of various bipolar disorders and extensively used as a mood stabilizer in psychiatric treatment. It is also found applications in building material industry. 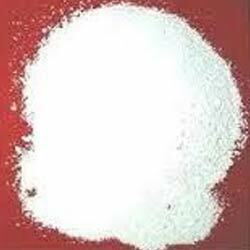 Lithium citrate is basically odorless white powder with low melting point. Moreover, it is also known as trilithium citrate or trilithium 2-hydroxypropane-1,2,3-tricarboxylate. Our company is involved in providing superior quality lithium chromate to customers. Lithium chromate is hazardous in nature and can cause damage to eyes, skin and if inhaled. 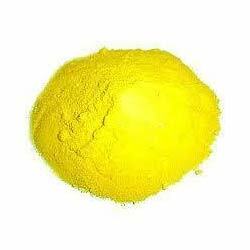 It is basically a yellow crystalline solid and strong oxidizing agent. Lithium chromate is soluble in water and deliquescent in nature. Moreover, it is extensively used as a corrosion inhibitor. 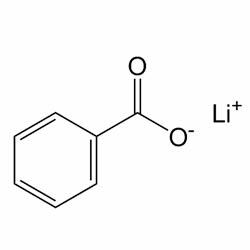 Lithium benzoate is an industrial grade chemical which is precisely processed by using quality material. Lithium benzoate is extensively used as raw material for pharmaceuticals. It also finds applications in polymerization process and used for hardening of polymers. Our product range has molecular formula C6H5COOLi and checked under various set quality parameters.